Rev. 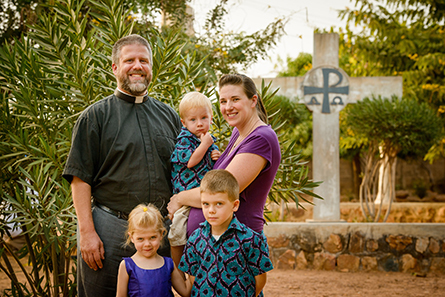 Micah and Robin Wildauer serve the Lord as missionaries through The Lutheran Church—Missouri Synod (LCMS) in Togo. In this role, Micah teaches courses in Lutheran theology at The Centre Luthérien d’Etudes Théologiques (CLET), or Lutheran Center for Theological Studies, in Dapaong, Togo, West Africa. CLET is the seminary of the Lutheran Church of Togo (ELT). He also teaches some distance learning and continuing education courses throughout Francophone West Africa as needed. In addition to his teaching responsibilities, he coordinates visiting professors to CLET. Micah was born in Bremen, Ind., and baptized at St. Paul’s Lutheran Church in Bremen. He is the son of two Lutheran school teachers. He graduated from Concordia University Texas, Austin, Texas, in 2002 with a bachelor’s degree in behavioral science. He received his Master of Divinity from Concordia Theological Seminary, Fort Wayne, Ind., in 2006. Before becoming a career missionary, Micah served as a dual parish pastor at Bethlehem Lutheran Church and Hope Lutheran Church, both churches located in Milwaukee, Wis., from 2006-2014. This urban setting gave him cross-cultural and multi-ethnic experience. In his free time, Micah likes following various sports teams and being in fellowship with his friends. Robin was born in Versailles, Mo., and baptized and confirmed at Grace Lutheran Church in Versailles. She graduated from Northwest Missouri State University, Maryville, in 2008, with a bachelor’s degree in office information systems and financial computing. Micah and Robin love spending time with their three beautiful children, Samuel, Elizabeth and David. Please pray for Rev. Micah and Robin as they serve in Togo. Pray for them as they transition to life in Africa, learning the French language (a new language for them) and the culture of the Togolese people. Pray that God provides them with prayer and financial supporters in the United States. 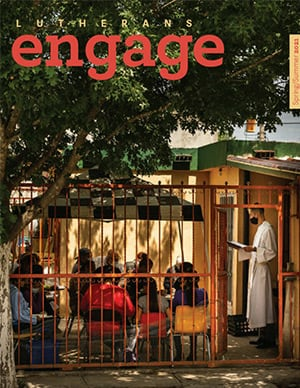 Pray that the Lord blesses CLET, its supporting congregations and other African partner churches. Pray for the students who travel throughout the region to learn at CLET. Please pray for the joy of service for those individuals already serving churches in this region. Finally, ask the Lord to raise up African theological leaders to serve as teachers of the Good News of Jesus Christ in the community. Let us give thanks to God for Micah and Robin answering God’s call to serve His children in this part of the world. Enjoy listening to Rev. Wildauer share details about his ministry in Togo in this KFUO interview recorded on July 21, 2017. Giving Online: You can support the WILDAUER family’s ministry by giving online. 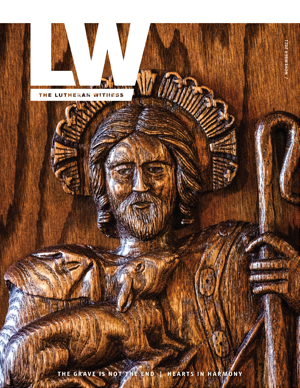 Giving by Check: You can also make a donation towards the WILDAUER family’s ministry by check.